Our Gold Coast Doctors and Staff are committed to General Practice and to the health and wellbeing of our patients. Carl joined the Southport Medical Centre as a Partner in 1977 – his career has spanned 40 years. During that time Carl has obtained his Fellowship of the Royal Australian College of General Practitioners (FRACGP), Certificates in Medical Acupuncture, Advanced Spinal Manipulation, Sports Medicine (Carl was the national Team Doctor for the Brisbane Bears (now Brisbane Lions) for 3 years); Skin Cancer Medicine and a certificate in Dermoscopy. Carl completed a Certificate of Civil Aviation Medicine and is a qualified Designated Aviation Medical Examiner (DAME) for the Civil Aviation Safety Authority (CASA). Carl performs both private and commercial Aviation Medicals. Carl is a full member of the Australasian Society of Aerospace Medicine and passed the Certified Medical Review Officer (MRO) examination through the MRO Certification Council (MROCC) USA in conjunction with CASA and the American College of Occupational and Environmental Medicine. Carl holds a private pilots licence with multi engine and instrument ratings and acted as the fly in/fly out Locum GP and Acting Superintendent of the Island’s Hospital each Friday morning for 12 years for the general practice at Dunwich on North Stradbroke Island. In 1993 Carl joined the Australian Army Reserve and served as a Captain for 7 years and acted as the Regiment Doctor for the 5/11 Field Regiment and then the 1st Field Regiment based at Enoggera. Carl was awarded the Army Service Medal and is now on inactive duty. 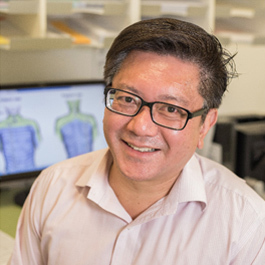 Carl received recognition of his service to General Practice by being awarded a Life Membership of the Royal Australian College of General Practitioners at the RACGP national conference in 2015. 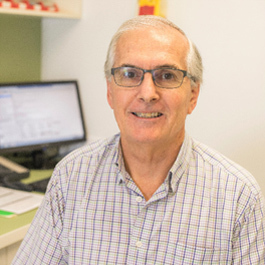 Carl is an accredited Supervisor and Trainer for the Australian General Practice Post-Graduate Medical Education Training Program and continues in this role as a Supervisor of Registrars working at both the Southport and Labrador Medical Centres. Carl was the coordinator of the pilot training program for the GC Hospital/FRACGP Post Graduate Medical Education PGPPP programme training Year 1 interns and Year 2 JHO’s for a 2 year period. Carl participated as the Practice Representative in various National Primary Care Collaborative Workshops around chronic disease management and also represented the Practice on the e-Collaborative 21st Century Patient Care and Self-Management Learning Workshops NeHTA and Improvement Foundation eHealth national collaboratives. Carl was a Gold Coast representative on the General Practice Aged Care Advisory Group; Aged Care Reference Group; Allied Health (Aged Care) Quality Group and General Practice Aged Care Panel. In his spare time, Carl is a primary producer and runs a 3000 acre Droughtmaster cattle breeding property near Texas on Qld/NSW border. Love him or hate him Wayne Bennett said, “I would rather play with a champion team than a team of champions”. Since January 1982 I have played “the long game” at the Southport Medical Centre not knowing how or when it would end. I am extremely grateful to have met and associated with many amazing colleagues, staff and clients on this highway of life. I believe we are all put here for a purpose. Choosing medicine as my career, I realised early on that your health is your wealth and to make a difference you have to live what you say, espouse and teach. I strive to do this each day in my professional and personal life. I have always been curious about our world and how it works. Physical, Mental and Environmental Health. I graduated from The University of Queensland in 1976 then completed my internships as a Registrar in two impressive hospitals - Townsville and Gold Coast. Those amazing four years and the knowledge I gained in successfully completing the Diploma of The Australian College of Obstetricians and Gynaecologists in 1980 exposed me to all that medicine could offer in the many disciplines which I use in my General Practice today. I value the privilege of sharing my consulting room experiences and being a mentor to the new doctors who have chosen us to further their General Practice speciality training. Who we are can be determined and shaped by who teaches us. I take this responsibility with a great weight of duty and enjoy the exchange and accumulation of new and old knowledge – our source of wisdom. I’ve discovered that my love of running, particularly endurance running declutters my mind and allows me time for quietism to grow ideas which enhance my personal and professional life and goal setting. Running has kept me active, healthy and has helped to provide a role model to my patients of practicing what I preach. Alongside a wonderful and fulfilling career I have been blessed with a long and happy marriage and two beautiful children. Their presence is with me each working day – my daughter is a staff member and my son’s art work brightens the walls at the Southport Medical Centre. 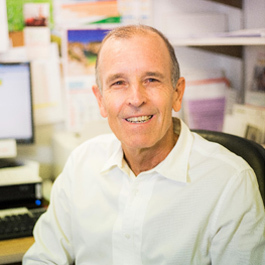 Bill has been a Partner in the Practice since 1988. Bill has a Diploma in Obstetrics and Gynaecology. Bill worked at the Gold Coast Hospital for 4 years before joining the Southport Medical Centre in 1988. During those years at the Gold Coast Hospital he rotated through all of the various areas of medical specialties that were available at the hospital at that time. He believes this gave him a good basis for General Practice. Just prior to beginning work at the Southport Medical Centre one of the senior partners retired and Bill took over the care of many of his long-term patients. As many of these patients commenced moving into aged care Bill developed an interest in this area of medicine. About 50% of his workload currently is involved with the care of residents in Residential Aged Care Facilities. Bill is heavily involved in the local Lutheran Church in Southport. He has been a member of Trinity Lutheran Church in Southport since moving to the Gold Coast and over the years has served on many church committees and was a member of the Trinity Lutheran College Council for 19 years. When time allows Bill likes to go camping and bushwalking. This gives him a chance to get away completely from the pressures of a busy Practice that can involve a lot of non-patient contact time on his days off. He particularly enjoys long walks through the Hinterland rain forests. Bill enjoys watching all sports especially Rugby League and water polo. Until his last year of university he played first grade Rugby League in Ipswich. His interest in water polo was generated when his daughters started playing, and for many years Bill was the manager of the Gold Coast and Queensland Women’s team at the Queensland National titles. Emile joined the Practice as a Partner in 2003 and is a Fellow of the Royal Australian College of General Practitioners. As an accredited Supervisor and Trainer for the Australian General Practice Post-Graduate Medical Education Training Program, Emile is instrumental in the Supervision of Registrars working at both the Southport and Labrador Medical Centres. 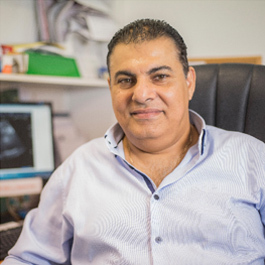 Emile is a former member of the Multicultural Council of Gold Coast (1999 – 2005), and Emile’s dedicated patient following reflects his respected work within the local multicultural community. Emile holds membership with the Australian Medical Association which promotes and protects the professional interests of doctors and the health care needs of patients and communities. Emile is also a former member of the Coptic Committee of Gold Coast (1996 – 2012) and an active member of the Coptic Committee of Queensland Conferences. Judith is a well-respected senior female General Practitioner and has a loyal following. She came to Australia from England in 1989 and worked at the Gold Coast Hospital and in General Practice for one year before returning to England to complete her GP training. 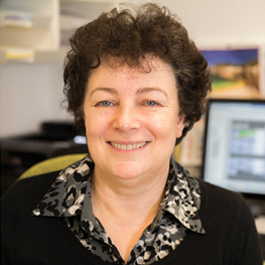 Judith obtained her Membership of the Royal College of General Practitioners in England in 1992 and later achieved her Fellowship in Royal Australian College of General Practitioners (FRACGP) in 2000. 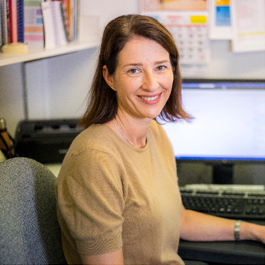 Returning to the Gold Coast in 1993 to continue her career in General Practice, Judith also worked with Family Planning. Judith then spent 3 years in Townsville working with Breast Screen Queensland and at the Townsville General Hospital whilst completing the Australian Medical Council exams. Judith represented the Practice at the inaugural National Primary Care Chronic Disease Management Collaborative in Melbourne and was instrumental in the establishment of our whole of Practice comprehensive program around the management of Diabetes, Chronic Heart Disease and Chronic Obstructive Airways Disease COPD. Judith also plays an integral role in the mentoring and training of Registrars within the Practice. In her free time, Judith enjoys travelling and is working on improving her skiing technique! Judith also kayaks and plays the occasional game of tennis. David joined the team in 2010. David is a Fellow of the Royal Australian College of General Practitioners (FRACGP). Having previously been a Paediatric Registrar at the Gold Coast Hospital, David has a particular interest in paediatrics. 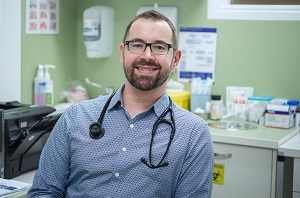 David is a Supervisor for the Australian General Practice Post-Graduate Medical Education Training Program (GPTQ) and has mentored a number of junior Doctors working as Registrars at the Labrador Medical Centre . David’s interests outside of General Practice include travelling and literature. Dr Natalie Mulcahy first joined us in 2008. She is originally from the UK and grew up in Sussex, she started her career as a Registered Nurse in Brighton before moving to London and training to become a Registered Sick Children's Nurse at Great Ormond Street Hospital. After spending further time in London hospitals caring for children with serious liver and kidney conditions she met her Australian husband to be and so moved to Australia permanently in 1995. Natalie fulfilled a longtime desire to study medicine in 2001 when she commenced Medical School at The University of Queensland, by then with two young children aged 2 and 4 in tow. She graduated in 2005 with first class honours and another addition to the brood. After internship and residency at Gold Coast Hospital Natalie completed her family with a fourth child who arrived in 2007. Natalie joined our practice as a registrar in 2008, she temporarily left in 2010 to pursue some time working in rural Australia and Emergency Medicine and returned permanently in 2011. Natalie has her Fellowship of the Royal College of General Practitioners (FRACGP) and has also completed further study via Sydney Children's Hospital and holds a Diploma in Child Heath. In her spare time Natalie enjoys travelling, cooking, reading, and is attempting to learn Italian. She took up running a bit later in life and completed her first half marathon in August 2017. What Natalie has to say "Working in General Practice is a privilege, I appreciate being able to share in the ups and downs of my patients lives, listen to their stories, treat the whole family through many stages of life and, I hope, sometimes make a difference. Tandem Health is a wonderfully supportive, longstanding family practice which values its staff and patients and is a happy place to work"
We welcomed Dr Dennis Costigan to the Southport Medical Centre in 2016. Dr Costigan brings a wealth of experience in general practice having worked as a medical practitioner and Medical Superintendent in various locations throughout rural and remote Qld and WA, including over 5 years with the Royal Flying Doctor Service. 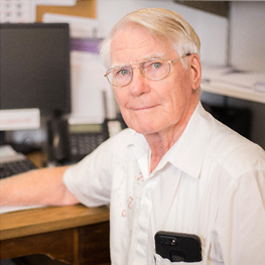 Until recently Dennis was a Designated Aviation Medical Examiner DAME with CASA, acted as a State Government Medical Officer and a Commonwealth Medical Officer and Medical Officer for the Department of Army. Dennis holds a Fellowship of the College of Rural and Remote Medicine and a Certificate in Advanced Cardiovascular Life Support ACLS. 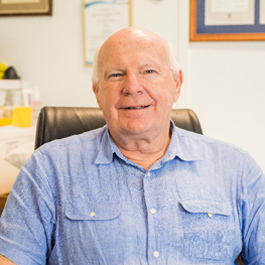 Immediately prior to joining the Southport Medical Centre Dennis worked as a General Practitioner in Kingaroy. Dennis works within our Tandem Health Aged Care Division and regularly visits residents in various aged care facilities on the northern end of the Gold Coast. Louis joined the Southport Medical Centre team in 2017 and obtained his Fellowship of the Royal Australian College of General Practitioners (FRACGP) in 2018. Prior to commencing his GP training program in 2016, Louis worked for 3 years at the Gold Coast University Hospital as a Resident Medical Officer including 6months in a Paediatric Registrar role. During this time he completed his Diploma in Child Health. Louis also holds a Bachelor of SpeechPathology from the University of Queensland and worked for two years as a Speech Pathologist for Blue Care and the Gold Coast Hospital Health Service prior to commencing his studies in medicine. He enjoys spending time with his wife and daughter, and with family and friends. Kerry is originally from the UK and took a somewhat circuitous yet interesting path to becoming a Doctor. Having completed a Bachelor of Science in Microbiology and Genetics at University College London Kerry spent 5 years as a Research Cytogeneticist on Childhood Tumours at The Royal Manchester Children’s Hospital. During this time Kerry welcomed her two children. As research is unfortunately an under compensated area of science, then began work as a pharmaceutical hospital representative in Oncology and Virology fields. With young children and a role that involved time away from home, Kerry subsequently decided to retrain as a Secondary School Biology teacher. This was a career that Kerry really loved and felt privileged that she could play a part in the development of her students. Prior to emigrating to Australia in 2007 Kerry was Head of Science Faculty and was working towards a Curriculum Deputy role. 2007 Kerry and her family relocated to Australia, a move which prompted Kerry to enhance her already impressive medical background. 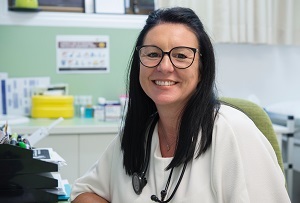 Kerry went onto complete her Medical degree at Griffith University in 2012, and then spent 3 years at the Gold Coast University Hospital, with the last 18 months in the Emergency Department prior to becoming a GP Registrar. Kerry was attracted to the speciality of General Practice as she enjoys all organ systems and age groups, alongside, importantly the opportunity to be involved in continuity of care. As with teaching, Kerry feels privileged to be a part of her patients’ lives and looks forward to helping them on their health journeys. Kerry obtained her Fellowship of the Royal Australian College of General Practitioners (FRACGP) in 2018. Kerry is a keen proponent of work-life balance and embraces the opportunities that living in Australia has provided. Kerry obtained her Advanced PADI diving certificate in some very cold waters in the UK and much prefers the warmer waters here. Kerry also loves getting closer to nature, including beach camping on Fraser or Moreton Islands with the added bonus of seeing whales and dolphins passing by. They don’t get these in the Manchester Ship Canal! When work does not allow this much life balance you might find her doing a spot of therapeutic card-making in her craftroom. Her husband jokingly calls them thousand dollar cards, not because of their quality but the cost of all the resources used! 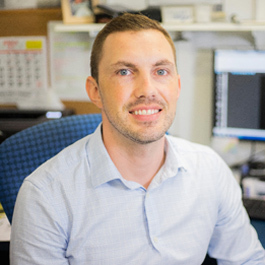 Tim started is career in health as a Physiotherapist, graduating from Charles Sturt University with a Bachelor of Physiotherapy in 2004. He worked in a variety of locations, from small rural base hospitals to large tertiary centres both in Australia and overseas. His ongoing desire to continue to study all aspects of health led him to commence his Bachelor of Medicine and Surgery degree at Griffith University in 2010. Upon graduation, Tim completed his hospital training at the Gold Coast University Hospital and was fortunate to gain experience in diverse areas including Paediatrics, Emergency, General Surgery, Infectious Diseases/Endocrinology and Geriatrics/Rehabilitation, which provided him with a fantastic basis for General Practice. During this time he also completed his Diploma of Child Health from Sydney University and obtained a certificate in Advanced Paediatric Life Support. In 2018 Tim obtained his Fellowship and became a Fellow of the Royal Australian College of General Practitioners (FRACGP). Tim loves the holistic nature of General Practice and prides himself on his ability to connect and empower his patients to maximise their health. Tim is a sports fanatic, with a particular fondness for AFL and NBA basketball. He is a long suffering Gold Coast Suns fan and can often be seen in various stages of despair at Metricon Stadium on game day. When he is not working, he can be found exploring the parks and beaches of the Gold Coast with his wife and 2 young children. We welcomed Dr Christian Elhaj to Tandem Health in January 2019. Christian, a Fellow of the Royal Australian College of General Practitioners since 2013 possesses extensive General Practice experience. Women's Health including cervical screening and implanon insertion and removal. Christian welcomes new and regular patients. We are fortunate to have a professional team of nursing and administrative staff to organise to ensure that the standards of care within the Practice are always maintained. Our experienced team of Gold Coast Doctors look forward to meeting you!